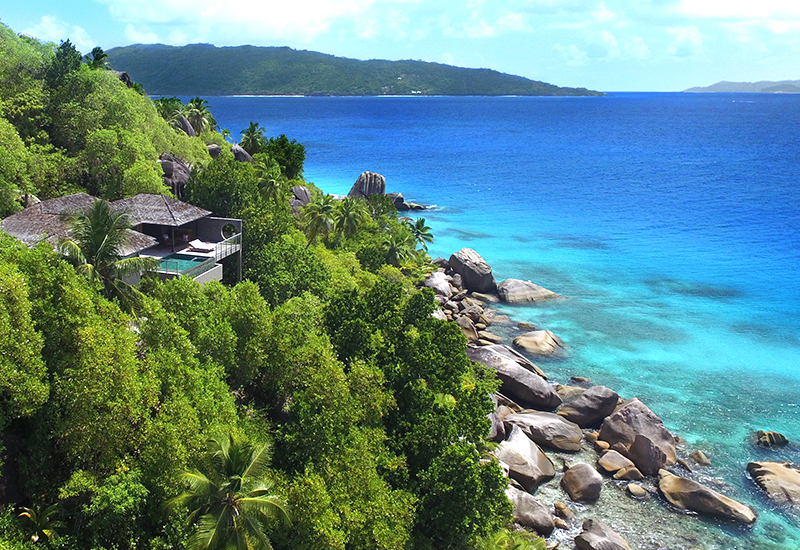 Six Senses Zil Pasyon, which opened on the private island of Félicité in the Seychelles in October last year, has already won plaudits for its perfect balance of luxury and nature. Just a third of this beautiful property occupies the island, with the remaining beach, forest, and wildlife left untouched. 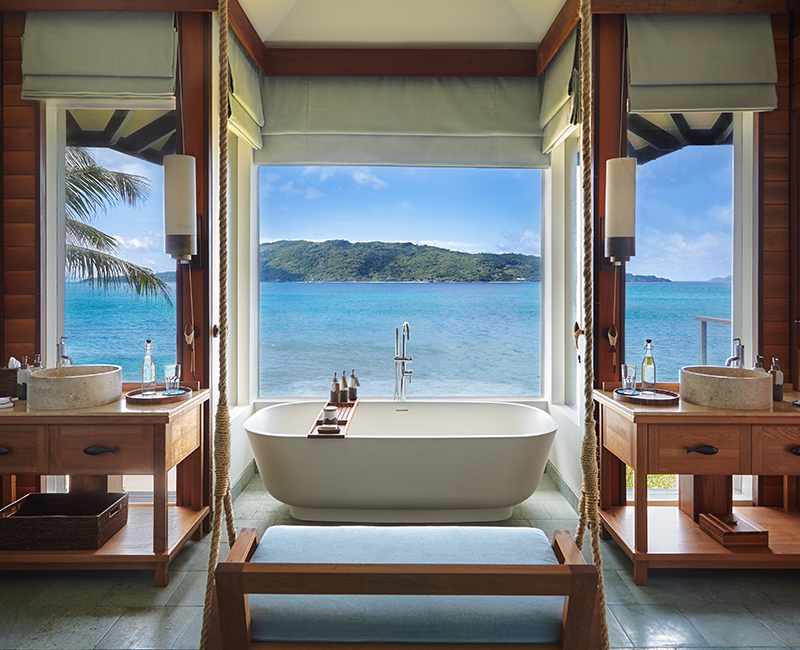 Six Senses has made the most of the scenery with an environmentally friendly approach. 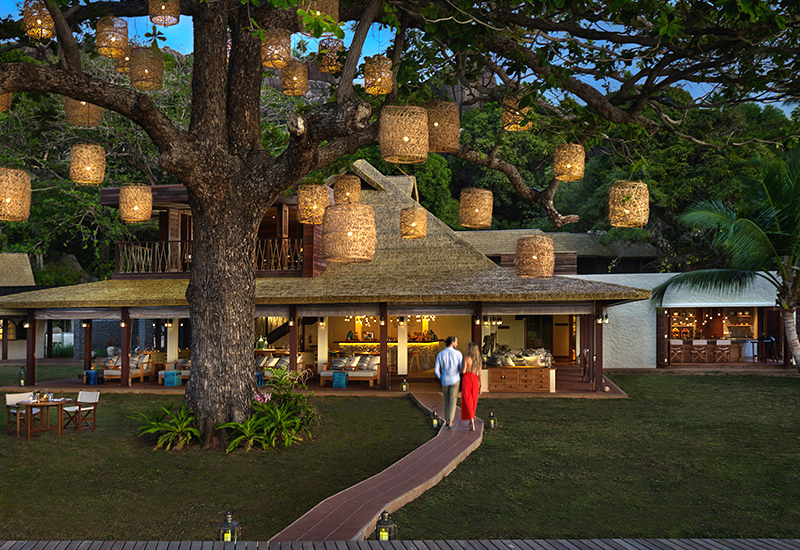 The 30 Balau-wood pool villas with wrap-around porches have stunning views of the Indian Ocean, and have been designed to blend into the stunning surroundings. 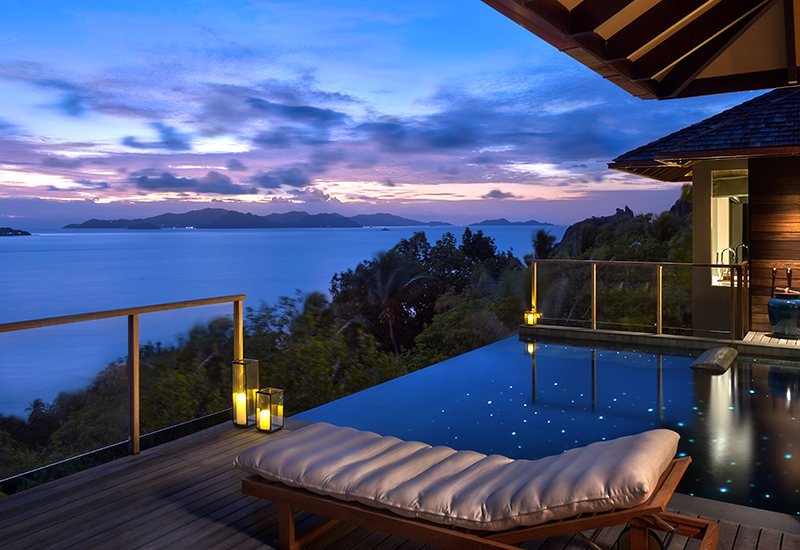 Activities are also nature based, and include swimming with turtles, yoga in a pavilion atop a cluster of massive granite rocks, hiking, and cycling on neighboring La Digue Island. 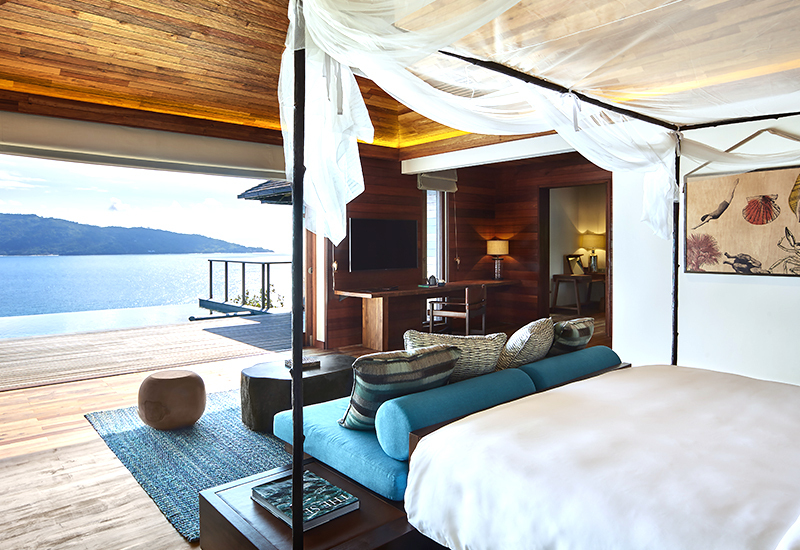 For an added touch of luxury, the resort’s full spa, built in between a dramatic rock formation, has just opened. Beach Beauty: Give skin a healthy glow with AERIN Gradual Tan For Face & Body, and keep skin conditioned with AERIN Beach Cream and Rose Oil. My new Linen Rose Cologne is an uplifting scent with Orange Flower, Lemon Leaves, and White Bulgarian Rose that perfectly suits a warm climate.